We pride ourselves on carrying brands that real riders love. These companies really push the envelope, and in turn, help you do it too. From high-performance race bikes to big-wheeled trail rippers, Kona has an impressive line-up of offerings to serve all riders. 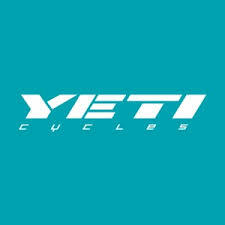 A ride-focused mentality allows Yeti to look at a broader range of technologies when creating bikes. By using the technology that best fits the bike they create bikes that ride differently. One of the early pioneers in off-road cycling with a well-respected heritage. Ibis also has one of the hottest trail bike frames on the market - the Mojo. A company dedicated to the 29 inch wheel since 2004. Larger wheels roll over things better, and improve traction and stability. Will you convert? A world-leading manufacturer of race-proven road and mountain bikes. Orbea is not just about bikes, but is about your cycling lifestyle. Technically sound, affordable bikes targeted to riders who demand a bike with tomorrow’s technology at a great value. Bikes for steel fanatics, fat bike lovers, racers and everyone in between. If you don't have a Surly in the stable, you're at least one bike short. A true American company that still manufactures mostly in house. This nimble company is always on the forefront of innovation and has a rich racing heritage. A company the rider can believe in. Tested in real world conditions by the same people that design them. Rider owned for life. We've got a selection of mountain, road, fat and cross bikes just waiting for you to enjoy. Check our bike brands. We keep our prices low by being selective and carefully choosing which products to stock. We have all sorts of goodies in stock- everything from Chris King, Stan's NoTubes, to Niner, and much, much more! If it is not in stock, we can get it and likely at a competitive price. Its how we started, and still what we do. Need something? Just want to say “hi?” Click here to get in touch with the TB crew.